I have been craving style recently! I was looking back at some old pictures last week and I swear, I used to have way better style. Working from home has taken it's toll on my fashion choices and I don't like it! So, here are some of my favorite fashion trends going on lately- and you can see more on my style Pinterest board! 1. White Converse. I finally got a pair of these for Christmas and I have already worn them SO much! I was scared they would look like clown shoes on me because my feet are so big but I think they look normal :) They make any slub outfit look semi cute! 2. Floppy Hats. I got one of these from Target at the beginning of the fall and it's really fun! Although, I kind of want a brown more casual hat to try. I'm curious to see how these hats will transition into summer style. 3. Purple Hair. This is my most recent obsession! I've always loved colorful hair color, but I've never actually considered it for myself! One summer I had temporary purple in my hair that ended up sticking with me for like 6 months and I loved it. The only thing keeping me from doing purple is because I know it will be super damaging to my hair (like the time I went white haired!). 4. Skater Skirts. I bought one of these in the fall but haven't quite figured out how to pull it off in a not super dressy way. But after looking at these pictures I pinned, I can totally see ways to do it! I'm excited to try this one out again. 5. Boho/Crop Top and Maxi Skirt. I used to love the whole boho/hippie/70s style! It went away for a few years but I think it's coming back this year! I love the idea of a crop top and a maxi skirt but I'm not sure if someone of my...proportions... can pull it off. So there you have it! 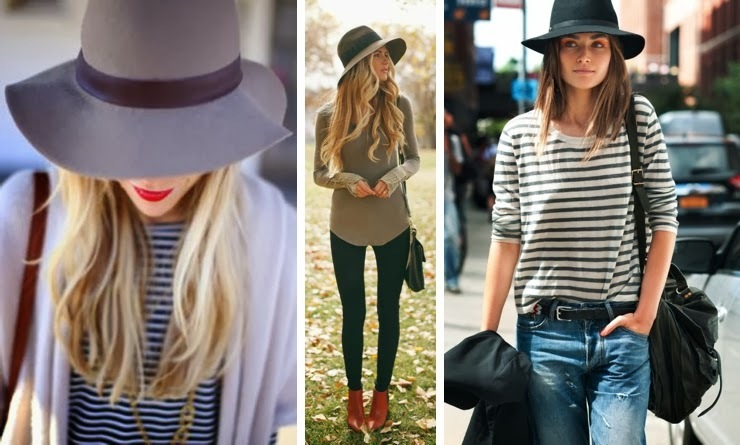 My fashion hopes for 2014! Anything I'm missing? (Of course there is). I could keep going on and on but these are the main ones in my head right now! What's your 2014 fashion predictions?